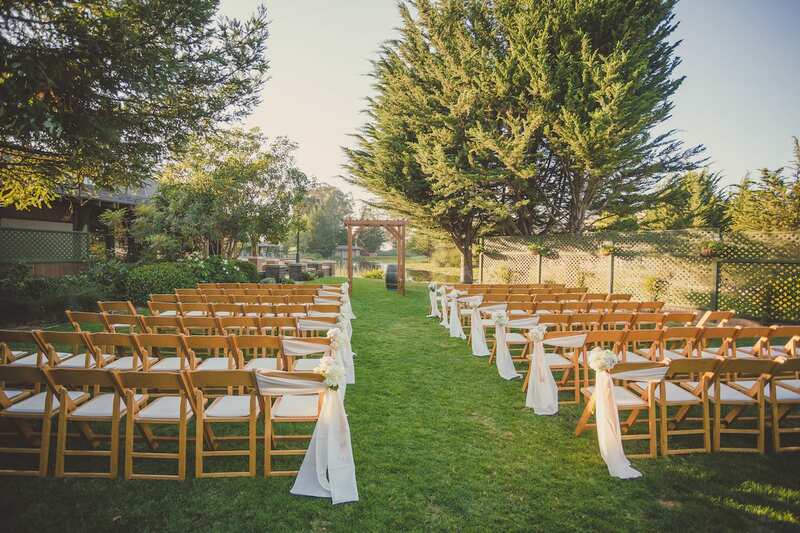 Ceremony Location Main Dining Hall, Event Patio, Ceremony Garden, Cypress Room & Library Room. 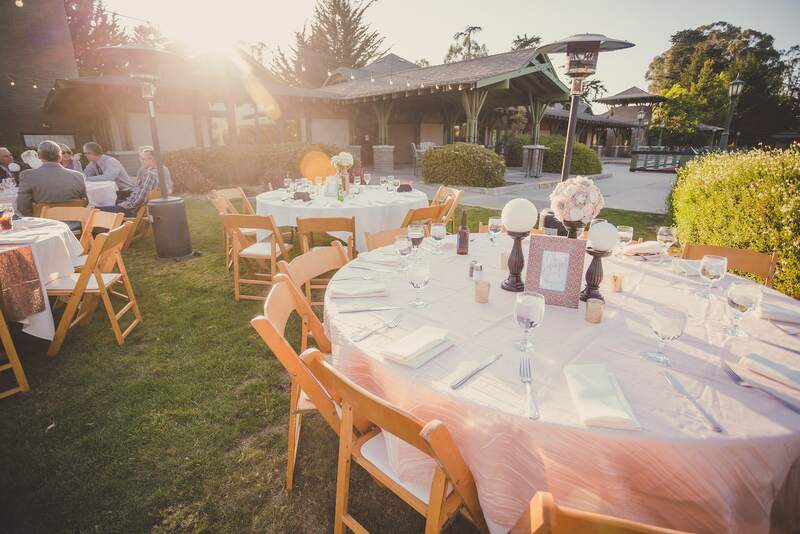 Rentals Included Tables and chairs for up to 350 guests, linens, silverware, glassware, china and serving pieces, ceremony arch, heaters, umbrellas, fireplace and use of three golf carts on the day of the event. 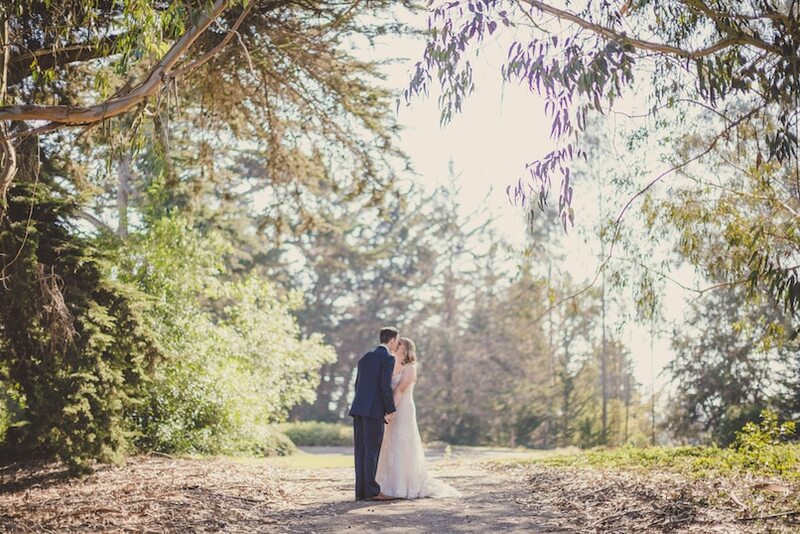 Craftsman style architecture and a picturesque woodland ambiance are just a few features that make the Pavilion of Cypress Ridge truly unique. 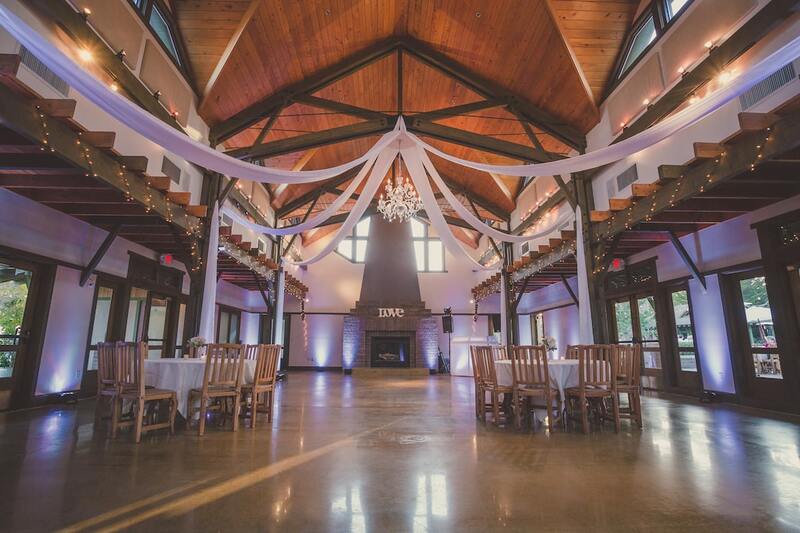 This gorgeous venue is flanked by two pristine lakes nestled within the Cypress Ridge golfing community, which makes for a serene and private event space. 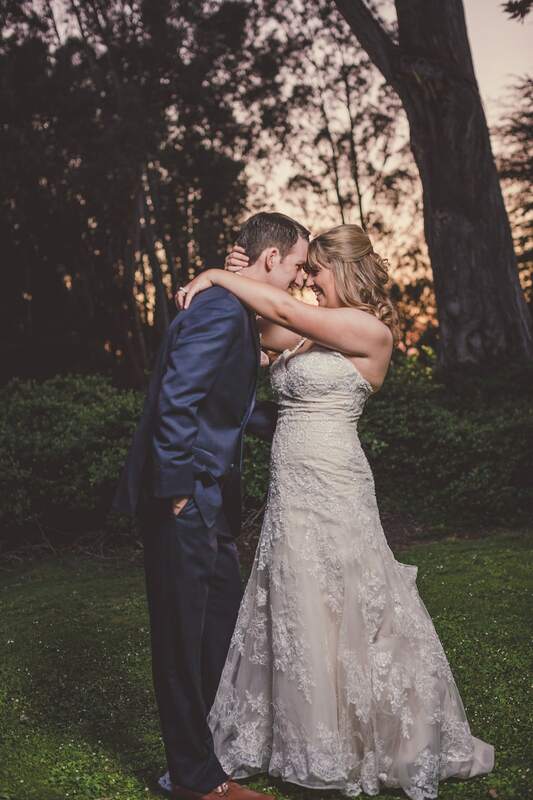 The Ceremony Garden overlooks the Cypress Ridge Lakes and includes a wedding arch popular for many ceremonies. 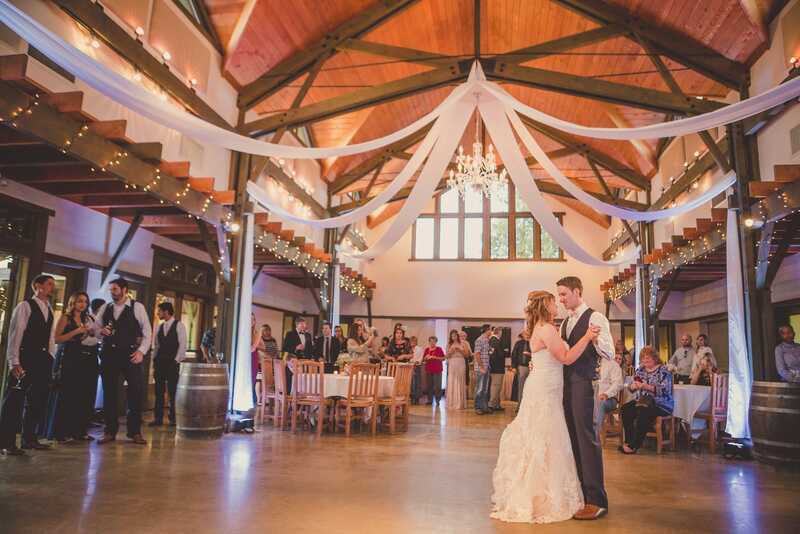 Indoor receptions are held in the Main Dining Hall – a beautiful event space with wood beam ceilings and a stunning fireplace. 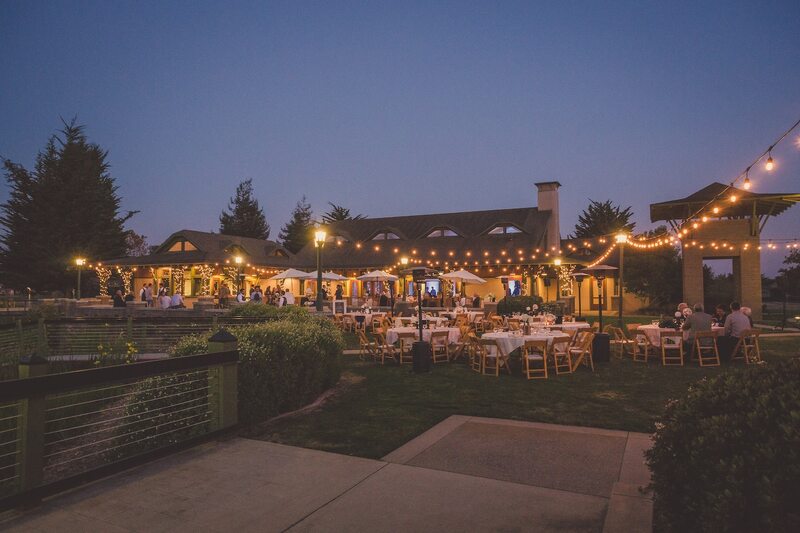 This Central Coast Wedding Venue also features a fire pit area that serves perfectly for a late night S’more bar!